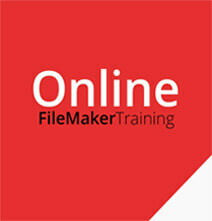 FileMaker Training | CoreSolutions Software Inc. Designed to fit your schedule. Most of our training courses are offered in convenient online formats, and are designed to fit your schedule. Learn new FileMaker functions, how to create a database, and start deploying your own solutions to streamline your workflows! *Please note – Individuals attending our training sessions that require a Support person to attend with them, per the Ontario Governments Accessibility for Ontarians with Disability Act – AODA, will not be charged for the Support person’s attendance. Training is Subject to Trainer Availability. "Every interaction I had with them was great & I really liked the flexibility"
They always help me when I have requests or questions & really go above & beyond. Our trainer was amazing. He was very clear & had so much patience. He really makes the trainee feel comfortable & I’ve never once been let down. Our FileMaker Basics Plus Training is a 1 hour online course that will develop your current FileMaker skills. You will learn the different modes of FileMaker and how to take specific actions in these modes. Our FileMaker Intermediate Training is a 1 hour online course that will reinforce your FileMaker skills and teach you how to use new tools and functions. The main focus will be on importing into and exporting out of FileMaker. Our Basics FileMaker Training is an online course that will familiarize you with some the most essential FileMaker tools and functions. You will learn the basics of how to use the user interface and formatting (Status Area Toolbar). 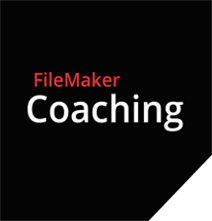 With FileMaker Coaching, an experienced trainer will lead you in on-on-one sessions where your database is the main focus. A trainer/developer will meet with you either in person, on the phone or online video chat. 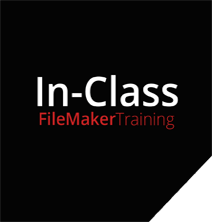 This course introduces you to the fundamentals of FileMaker Pro. You will learn the basic skills necessary to help you use FileMaker Pro effectively and the foundation skills necessary if you wish to develop your own simple database solutions. The FileMaker Training Series: Advanced is for intermediate to advanced FileMaker developers, but anyone who creates FileMaker databases can increase their knowledge from this series. It serves as a stepping-stone to becoming a FileMaker 13 Certified Developer.